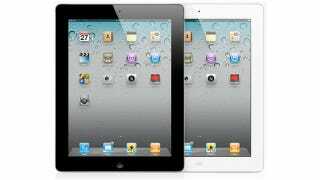 Are You Going to Buy the iPad 2? The iPad 2 is here. It's crazy thin, rocks a dual core processor and has 2 cameras. Apple is even promising that both black and white versions will be available come March 11th for the same starting price as last year, $499. Clearly, it's the next generation of iPad. But! Some stuff hasn't changed: the screen isn't anywhere close to being a Retina Display and iOS 5 and the hope for better notifications isn't here yet. So what say you? Are you buying an iPad 2? Are you waiting for the other tablets to come out? Or are you still not sold on this whole tablet thing. Vote in the poll and let us know in the comments!